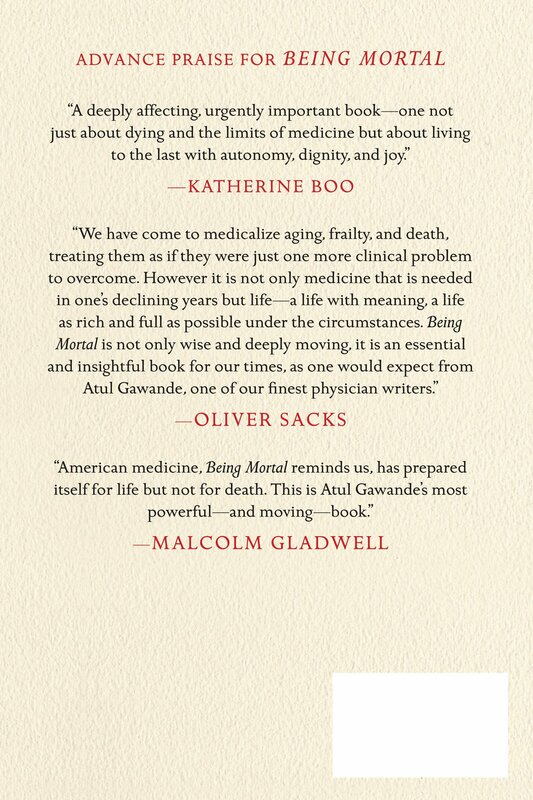 Atul Gawande, MD, MPH, wears many hats, including that of a surgeon, researcher, journalist, and author. In this segment of Medscape One-on-One, Dr. Gawande talks with Eric J. Topol, MD, about what inspires him, his plans for the future, and why he’s secretly a frustrated rock singer. Atul Gawande is a surgeon, writer, and public health researcher. He practices general and endocrine surgery at Brigham and Women’s Hospital in Boston, and is Director of Ariadne Labs, a joint center for health systems innovation. He is Professor in the Department of Health Policy and Management at the Harvard School of Public Health and Professor of Surgery at Harvard Medical School. And he is also co-founder and chairman of Lifebox, an international not-for-profit implementing systems and technologies to reduce surgical deaths globally. Soon after he began his residency, his friend Jacob Weisberg, editor of Slate, asked him to contribute to the online magazine. His pieces on the life of a surgical resident caught the eye of The New Yorker which published several pieces by him before making him a staff writer in 1998. A June 2009 New Yorker essay by Gawande compared the health care of two towns in Texas to show why health care was more expensive in one town compared to the other. Using the town of McAllen, Texas, as an example, it argued that a revenue-maximizing businessman-like culture (which can provide substantial amounts of unnecessary care) was an important factor in driving up costs, unlike a culture of low-cost high-quality care as provided by the Mayo Clinic and other efficient health systems. Ezra Klein of The Washington Post called it “the best article you’ll see this year on American health care—why it’s so expensive, why it’s so poor, [and] what can be done.” The article was cited by Pres. Barack Obama during Obama’s attempt to get health care reform legislation passed by the United States Congress. The article “made waves” and according to Senator Ron Wyden, the article “affected [Obama’s] thinking dramatically”, and was shown to a group of senators by Obama, who said, “This is what we’ve got to fix.” After reading the New Yorkerarticle, Warren Buffett‘s long-time business partner Charlie Mungermailed a check to Gawande in the amount of $20,000 as a thank you to Dr. Gawande for providing something so socially useful. Gawande donated the $20,000 to the Brigham and Women’s Hospital Center for Surgery and Public Health. In addition to his popular writing, Gawande has published studies on topics including military surgery techniques and error in medicine, included in the New England Journal of Medicine. He is also the director of theWorld Health Organization‘s Global Patient Safety Challenge. His essays have appeared in The Best American Essays 2003, The Best American Science Writing 2002, The Best American Science Writing 2009 andBest American Science and Nature Writing 2011. He has been a staff writer for the New Yorker magazine since 1998. He has written three bestselling books: Complications, which was a finalist for the National Book Award in 2002; Better, which was selected as one of the ten best books of 2007 by Amazon.com; and The Checklist Manifesto. He has won two National Magazine Awards, AcademyHealth’s Impact Award for highest research impact on health care, a MacArthur Fellowship, and he has been named one of the world’s hundred most influential thinkers by Foreign Policy and TIME. Tsai TC, Joynt KE, Orav EJ, Gawande AA, Jha AK. Variation in Surgical-Readmission Rates and Quality of Hospital Care. New England Journal of Medicine Published online September, 2013. Funk LM, Conley DM, Berry WR, Gawande AA. Hospital Management Practices and Availability of Surgery in Sub-Saharan Africa: A Pilot Study of Three Hospitals. World Journal of Surgery Published online August, 2013. Nehs MA, Ruan DT, Gawande AA, Moore FD Jr, Cho NL.Bilateral neck exploration decreases operative time compared to minimally invasive parathyroidectomy in patients with discordant imaging. World Journal of SurgeryPublished online July, 2013. Joynt KE, Gawande AA, Orav EJ, Jha AK.Contribution of Preventable Acute Care Spending to Total Spending for High-Cost Medicare Patients. JAMA Published online June 24, 2013. McCrum ML, Joynt KE, Orav EJ, Gawande AA, Jha AK.Mortality for Publicly Reported Conditions and Overall Hospital Mortality Rates. JAMA Published online June 24, 2013. Spector JM, Lashoher A, Agrawal P, Lemer C, Dziekan G, Bahl R, Mathai M, Merialdi M, Berry W, and Gawande AA.Designing the WHO Safe Childbirth Checklist Program to Improve Quality of Care at Childbirth. International Journal of Gynecology & Obstetrics Published online June 5, 2013. Barnet CS, Arriaga AF, Hepner DL, Correll DJ, Gawande AA, Bader AM. Surgery at the End of Life. The Journal of the American Society of Anathesiologists Published online June, 2013. Bowman KG, Jovic G, Rangel S, Berry WR, Gawande AA.Pediatric emergency and essential surgical care in Zambian hospitals: A nationwide study. Journal of Pediatric Surgery Published online June, 2013. Rice-Townsend S, Gawande A, Lipsitz S, Rangel SJ.Relationship between unplanned readmission and total treatment-related hospital days following management of complicated appendicitis at 31 children’s hospitals. Journal of Pediatric Surgery Published online June, 2013. Eappen S, Lane BH, Rosenberg B, Lipsitz SA, Sadoff D, Matheson D, Berry WR, Lester M, Gawande AA. Relationship Between Occurrence of Surgical Complications and Hospital Finances. JAMA April 17, 2013;309:1599-1606. Kwok AC, Funk LM, Baltaga R, Lipsitz SR, Merry AF, Dziekan G, Ciobanu G, Berry WR, Gawande AA. Implementation of the World Health Organization Surgical Safety Checklist, Including Introduction of Pulse Oximetry, in a Resource-Limited Setting. Annals of Surgery April 4, 2013. Molina G, Funk LM, Rodriguez V, Lipsitz SR, Gawande A.Evaluation of Surgical Care in El Salvador Using the WHO Surgical Vital Statistics. World Journal of Surgery Published online, March 2013. Arriaga AF, Bader AM, Wong JM, Lipsitz SR, Berry WR, Ziewacz JE, Hepner DL, Boorman DJ, Pozner CN, Smink DS, Gawande AA. Simulation-Based Trial of Surgical-Crisis Checklists. New England Journal Of Medicine 2013;368:246-53. Spector JM, Reisman J, Lipsitz S, Desai P, and Gawande AA.Access to Essential Technologies for Safe Childbirth: A Survey of Health Workers in Africa and Asia. BMC Pregnancy and Childbirth February 20, 2013;13:43-49. Wong JM, Panchmatia JR, Ziewacz JE, Bader AM, Dunn IF, Laws ER, Gawande AA. Patterns in neurosurgical adverse events: intracranial neoplasm surgery. Journal of Neurosurgery 2012;33(5):E16. Wong JM, Ziewacz JE, Ho AL, Panchmatia JR, Kim AH, Bader AM, Thompson BG, Du R, Gawande AA. Patterns in neurosurgical adverse events: open cerebrovascular neurosurgery. Journal of Neurosurgery 2012;33(5):E15. Nanevicz TM, Prince MR, Gawande AA, Puliafito CA. Excimer laser ablation of the lens.Archives of Ophthalmology. 1986;104(12):1825-9. Dr Atul Gawande – 2014 Reith Lectures. BBC Radio 4. Retrieved October 18, 2014. “Q&A with Atul Gawande, Part 2” H&HN. June 30, 2011. Retrieved July 7, 2011. Bates, D. W.; Gawande, A. A. (2003). “Improving Safety with Information Technology”. New England Journal of Medicine 348(25): 2526. doi:10.1056/NEJMsa020847. Weiser, T. G.; Regenbogen, S. E.; Thompson, K. D.; Haynes, A. B.; Lipsitz, S. R.; Berry, W. R.; Gawande, A. A. (2008). “An estimation of the global volume of surgery: A modelling strategy based on available data”. The Lancet 372 (9633): 139.doi:10.1016/S0140-6736(08)60878-8. Gawande, A. A.; Studdert, D. M.; Orav, E. J.; Brennan, T. A.; Zinner, M. J. (2003). “Risk factors for retained instruments and sponges after surgery”. New England Journal of Medicine 348 (3): 229–35. doi:10.1056/NEJMsa021721. PMID 12529464. Gawande, A. A.; Thomas, E. J.; Zinner, M. J.; Brennan, T. A. (1999). “The incidence and nature of surgical adverse events in Colorado and Utah in 1992”. Surgery 126 (1): 66–75.doi:10.1067/msy.1999.98664. PMID 10418594. Can This Patient Be Saved? 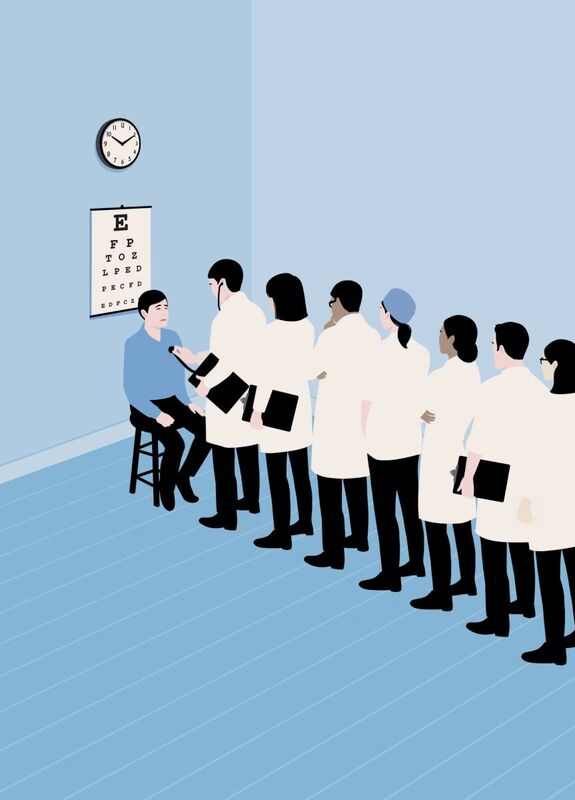 An avalanche of unnecessary medical care is harming patients physically and financially. What can we do about it? It was lunchtime before my afternoon surgery clinic, which meant that I was at my desk, eating a ham-and-cheese sandwich and clicking through medical articles. Among those which caught my eye: a British case report on the first 3-D-printed hip implanted in a human being, a Canadian analysis of the rising volume of emergency-room visits by children who have ingested magnets, and a Colorado study finding that the percentage of fatal motor-vehicle accidents involving marijuana had doubled since its commercial distribution became legal. The one that got me thinking, however, was a study of more than a million Medicare patients. It suggested that a huge proportion had received care that was simply a waste. Millions of Americans get tests, drugs, and operations that won’t make them better, may cause harm, and cost billions. Our medical systems are broken. Doctors are capable of extraordinary (and expensive) treatments, but they are losing their core focus: actually treating people. Doctor and writer Atul Gawande suggests we take a step back and look at new ways to do medicine — with fewer cowboys and more pit crews. 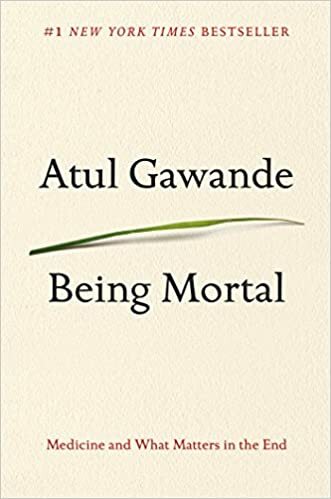 In 2006, Gawande was named a MacArthur Fellow for his work investigating and articulating modern surgical practices and medical ethics. In 2007, he became director of the World Health Organization‘s effort to reduce surgical deaths, and in 2009 he was elected a Hastings Center Fellow. In 2004, he was named one of the 20 Most Influential South Asians by Newsweek. In the 2010 Time 100, he was included (fifth place) in Thinkers Category.Also in 2010, he was named by Foreign Policymagazine to its list of top global thinkers. In 2014 he presented the BBC’s Reith Lectures, delivering a series of four talks titled The Future of Medicine. These were delivered in Boston, London, Edinburghand Delhi. Since January 2005, I am a Reader, Curator and Author of scientific articles in Life Sciences and Medicine. These articles have been viewed, since the first article was published on 4/30/2012, by +886,454 viewers. I am inviting the e-Readers to join me on a language immersion during a LITERARY TOUR in Science, Medicine and HealthCare Policy. Ezra Klein of The Washington Post called it “the best article you’ll see this year on American health care—why it’s so expensive, why it’s so poor, [and] what can be done.” The article was cited by Pres. Barack Obama during Obama’s attempt to get health care reform legislation passed by the United States Congress. The article “made waves” and according to Senator Ron Wyden, the article “affected [Obama’s] thinking dramatically”, and was shown to a group of senators by Obama, who said, “This is what we’ve got to fix.” After reading the New Yorker article, Warren Buffett‘s long-time business partner Charlie Mungermailed a check to Gawande in the amount of $20,000 as a thank you to Dr. Gawande for providing something so socially useful. Gawande donated the $20,000 to the Brigham and Women’s Hospital Center for Surgery and Public Health. Bates, D. W.; Gawande, A. A. (2003). “Improving Safety with Information Technology”. New England Journal of Medicine 348 (25): 2526. doi:10.1056/NEJMsa020847. Weiser, T. G.; Regenbogen, S. E.; Thompson, K. D.; Haynes, A. B.; Lipsitz, S. R.; Berry, W. R.; Gawande, A. A. (2008). “An estimation of the global volume of surgery: A modelling strategy based on available data”. The Lancet 372 (9633): 139. doi:10.1016/S0140-6736(08)60878-8. In 2004, he was named one of the 20 Most Influential South Asians by Newsweek. In the 2010 Time 100, he was included (fifth place) in Thinkers Category. Also in 2010, he was named by Foreign Policymagazine to its list of top global thinkers. In 2014 he presented the BBC’s Reith Lectures, delivering a series of four talks titled The Future of Medicine. These were delivered in Boston, London, Edinburgh and Delhi. I retired from a five year position as Chief of the Division of Clinical Pathology (Laboratory Medicine) at New York Methodist Hospital-Weill Cornell Affiliate, Park Slope, Brooklyn in 2008 folowed by an interim consultancy at Norwalk Hospital in 2010. I then became engaged with a medical informatics project called “Second Opinion” with Gil David and Ronald Coifman, Emeritus Professor and Chairman of the Department of Mathematics in the Program in Applied Mathematics at Yale. I went to Prof. Coifman with a large database of 30,000 hemograms that are the most commonly ordered test in medicine because of the elucidation of red cell, white cell and platelet populations in the blood. The problem boiled down to a level of noise that exists in such data, and developing a primary evidence-based classification that technology did not support until the first decade of the 21st century. Gil David and Larry Bernstein have developed, in consultation with Prof. Ronald Coifman, in the Yale University Applied Mathematics Program, a software system that is the equivalent of an intelligent Electronic Health Records Dashboard that provides empirical medical reference and suggests quantitative diagnostics options. Our dashboard is a visual display of essential metrics. The primary purpose is to gather medical information, generate metrics, analyze them in realtime and provide a differential diagnosis, meeting the highest standard of accuracy. The diagnosis provides a risk assessment to the patient’s medical condition, while locating and presenting similar cases of other patients with the same anomalous profile and their corresponding treatment and followup. Given medical information of a patient, the system builds its unique characterization and provides a list of other patients that share this unique profile, therefore utilizing the vast aggregated knowledge (diagnosis, analysis, treatment, etc.) of the medical community. The main mathematical breakthroughs are provided by accurate patient profiling and inference methodologies in which anomalous subprofiles are extracted and compared to potentially relevant cases. Our methodologies organize numerical medical data profiles into demographics and characteristics relevant for inference and case tracking. As the model grows and its knowledge database is extended, the diagnostic and the prognostic become more accurate and precise. We anticipate that the effect of implementing this diagnostic amplifier would result in higher physician productivity at a time of great human resource limitations, safer prescribing practices, rapid identification of unusual patients, better assignment of patients to observation, inpatient beds, intensive care, or referral to clinic, shortened length of patients ICU and bed days. As an example, inputs from test data such as Hematology results are processed for anomaly characterization and compared with similar anomalies in a data base of 30,000 patients, provide diagnostic statistics, warning flags , and risk assessment . These are based on past prior experience , including ,diagnostics and treatment outcomes (collective experience). The system was trained on this database of patients, built the learning knowledge base and used to analysis and diagnosis 5,000 new patients. Our system identified successfully the main risks with very high accuracy (more than 96%) and very low false rate (less than 0.5%). comparable cases, flags for risk and potential problems as illustrated in the following case acquired on 04/21/10. The patient was diagnosed by our system with severe SIRS at a grade of .61 . The patient was treated for SIRS and the blood tests were repeated during the following week. Following treatment, the SIRS risk as a major concern was eliminated and the system provides a positive feedback for the treatment of the physician. I have been reviewing manuscripts somewhat frequently for Nutrition, Clin Chem Lab Med, Clin Biochem, and J Ped Hem Oncol., and serve on the Editorial Advisory Board of Nutrition. I was the Chief, Clinical Pathology at NY Methodist Hospital, a 600+ bed hospital in Park Slope, Brooklyn, 2 hours from Bridgeport, CT, where I worked for 5 years, and was previously Chief of Clinical Chemistry and Chief of Blood Bank at Bridgeport Hospital for 20 years, and Acting Chairman of Yale University Department of Pathology at Bridgeport Hospital for one year prior to my experience at NY Methodist Hospital Weill-Cornell. My work with nutrition is extensive as a consulting pathologist on the Nutritional Support Team and I worked closely with the Burn Unit at Bridgeport Hospital, led by Dr. Walter Pleban, the first physician expert in burn and wound care to use TPN in Connecticut. I rejected the dependence on serum albumin and implemented the first use of prealbumin (transthyretin)(half-life of 2 days) to follow the return to anabolic status of severely stressed patients, starting with Immunodiffusion plates from Behring Diagnostics, then converting to running batch turbidimetric assays on the Roche centrifugal analyzer, and finally running on a Beckman. My lab was the only one to get down to reliable measurements of 20 mg/L. I co-chaired the First International Transthyretin Congress in Strasbourg, chaired the 14th and was an invited participant in the 17th Ross Roundtable on Nutrition, Organized and Chaired the Beckman Roundtable on Prealbumin in Los Angeles, was responsible for the AACC first document of Standards of Clinical Laboratory Practice with Lawrence Kaplan, and was recipient of the Labbe/Garry award of the Nutrition Division of AACC). I did some of the earliest work on point of care diagnostics in neonatal care. My work with Creatine kinase isoenzyme MB and the isonzyme 1 of LD goes back to my residency and my long term contact with Burton Sobel. The improved use of troponins and NT-proBNP and have been ongoing projects for the last 10 years, some of which was supported by Roche Diagnostics on the recommendation of Pauline Lau and Bernard Statland. The projects in normalizing the NT-proBNP for age and estimated glomerular filtration rate (eGFR), was successful, but widespread implementation is even more gradual than was TTR. I have served on the Board of Directors of NAACLS and the American Library Association Commission on Accreditation, am listed in America’s Top Physicians, Marquis Who’s Who in Science and Engineering and Marquis’ Who’s Who in Medicine, Who’s Who in Pathology, Continental Who’s Who, Strathmore’s Who’s Who, and have 3 patents. Predicting Acute Myocardial Infarction. CLIN CHEM 1988; 34(10): 2031-2038. 2. Zarich SW, Bradley K, Mayall ID, Bernstein LH. Minor elevations in troponin T values enhance risk assessment in emergency department patients with suspected myocardial ischemia: analysis of novel troponin T cut-off values. Clin Chim Acta 2004; 343:223-29. Older patients, make up a large part of the ICU population and tend to have an acute stressful condition superimposed on chronic illness. The effects of anorexia, hypermetabolism, and malabsorption on these patients lead to substantial nitrogen losses. The most widely used methods for assessing malnutrition are the Subjective Global Assessment (SGA); TTR, and a combination of laboratory and biochemical features. The simplest of these, transthyretin (TTR) has become a commonly assayed protein in assessing PEM status. Clinical studies indicate that determination of the TTR level may allow for earlier recognition of malnutrition risk and timely intervention. Since TTR has a relatively short circulating half-life, it is expected to respond rapidly in response to metabolic support. TTR production decreases after 14 days of consuming a diet that provides only 60% of required proteins. Rapid turnover proteins, such as transthyretin (half-life < 2 days) respond early to nutrition support, and reflect a delayed return to anabolic status.It is particularly helpful in removing interpretation bias, and it is an excellent measure of the systemic inflammatory response concurrent with a preexisting state of chronic inanition. In the ICU patients we studied, TTR removed interpretation bias because the sickest patients experienced an uncommon delayed return of TTR to normal levels with adequate nutritional support. Protein energy malnutrition; Critically ill patients; Stress hypermetabolism; Transthyretin; Multivariate classification. OBJECTIVE: NT-proBNP level is used for the detection of acute CHF and as a predictor of survival. However, a number of factors, including renal function, may affect the NT-proBNP levels. This study aims to provide a more precise way of interpreting NT-proBNP levels based on GFR, independent of age. METHODS: This study includes 247 pts in whom CHF and known confounders of elevated NT-proBNP were excluded, to show the relationship of GFR in association with age. The effect of eGFR on NT-proBNP level was adjusted by dividing 1000 x log(NT-proBNP) by eGFR then further adjusting for age in order to determine a normalized NT-proBNP value. RESULTS: The normalized NT-proBNP levels were affected by eGFR independent of the age of the patient. CONCLUSION: A normalizing function based on eGFR eliminates the need for an age-based reference ranges for NT-proBNP. 5. David G, Bernstein LH, Coifman RR. Generating Evidence Based Interpretation of Hematology Screens via Anomaly Characterization. The Open Clinical Chemistry Journal, 2011; 4:10-16. ISSN 1874-2416/11. Bentham Journal. surgical complications associated with previsit under-nutrition, chronic illness affecting swallowing, eating, and weight loss. but not band neutrophils. Results and conclusions: We found agreement with previous work that designated an IG measurement cut-off of 3.2 as optimal. The analysis was then carried a step further with a multivariable discriminator. 8. Larry H Bernstein and Johannes Everse. Studies on the Mechanism of the Malate Dehydrogenase Reaction. J Biol Chemistry. Dec 25, 1978; 253(24): 8702-8707. These studies determine the levels of malate dehydrogenase isoenzymes in cardiac muscle by a steady state kinetic method which depends on the differential inhibition of these isoenzyme forms by high concentrations of oxaloacetate. This inhibition is similar to that exhibited by lactate dehydrogenase in the presence of high concentrations of pyruvate. The results obtained by this method are comparable in resolution to those obtained by CM-Sephadex fractionation and by differential centrifugation for the analyses of mitochondrial malate dehydrogenase and cytoplasmic malate dehydrogenase in tissues. The use of standard curves of percent inhibition of malate dehydrogenase activity plotted against the ratio of mitochondrial MDH activity to the total of mMDH and cMDH activities [ malate dehydrogenase ratio] (percent m-type) is introduced for studies of comparative mitochondrial function in heart muscle of different species or in different tissues of the same species. investigated the kinetic properties of the 2 isoenzymes present in rat Novikoff hepatoma tissues.These studies were initiated to evaluate whether or not the enzymes in the malate-asparate shuttle of tumour tissues are structurally and functionally identical to those of normal tissues. Fresh tumour or liver was homogenized with a glass tissue homogenizer in 0.1M potassium phosphate buffer, pH 7.5, containing 0.25M sucrose, centrifuged to remove tissue debris, and the supernatant was then centrifuged to obtain a supernatant that contained the cytoplasmic enzymes. The supernatantant did not contain any isocitrate dehydrogenase activity or transhydrogenase activity and was therefore judged to be free of mitochondrial enzymes.This high-speed supernatant was used without further fractionation for the determination of the cytoplasmic MDH activity. Mitochondria were prepared by suspending the pellet in 0.1M phosphate buffer, pH7.5, containing 0.25M sucrose and centrifuging the suspension at 600 g, and re-centrifuged at 20,000 g for 30 min, and the precipitate was collected and washed, then suspended in phosphate buffer and sonicated for 1 min. The resulting solution was used for the assays for the mitochondrial enzyme. The assays were performed in 0.1M phosphate buffer, pH 7.0, at room temperature with a Beckman Model 24 recording spectrophotometer. We found that the Km values of the mitochondrial enzyme from the hepatoma tissue were identical with the values obtained with the enzyme from normal liver mitochondria. The cytoplasmic enzymes also have identical Km values for the coenzyme; however,the Lineweaver-Burk plots for oxaloacetate were non-identical. Whereas the Km value for oxaloacetate obtained with the liver enzyme was- 55 M, the Lineweaver-Burk plot obtained with the hepatoma enzyme displayed 2 slopes. One of the slopes corresponded with a Km value that is approximately identical to that of the liver enzyme, whereas the other slope yielded a Km value for oxaloacetate of-1mM. We interpret these data to indicate that Novikoff hepatoma tissue contains 2 cytoplasmic enzymes that possess MDH activity, one of which closely resembles that present in the rat liver cytoplasm. The other enzyme, having a Km of-1mM, is not found in normal liver tissue. Devakonda, A., George, L., Raoof, S., Esan, A., Saleh, A., Bernstein, L.H. Brodska, H., Valenta, J., Malickova, K., Kohout, P., Kazda, A., Drabek, T.
Getting Better: Documentary Videos on Medical Progress — in Surgery, Leukemia, and HIV/AIDS.